How can cities around the world become more resilient to the physical, social, and economic challenges that are a growing part of the 21st century? How can we enable citizens to be at the center of the solutions? What can design and creativity bring to the table? And how can city governments find new ways to collaborate with these new actors? Can we facilitate a new economic model that helps to foster digital social innovation and entrepreneurship? 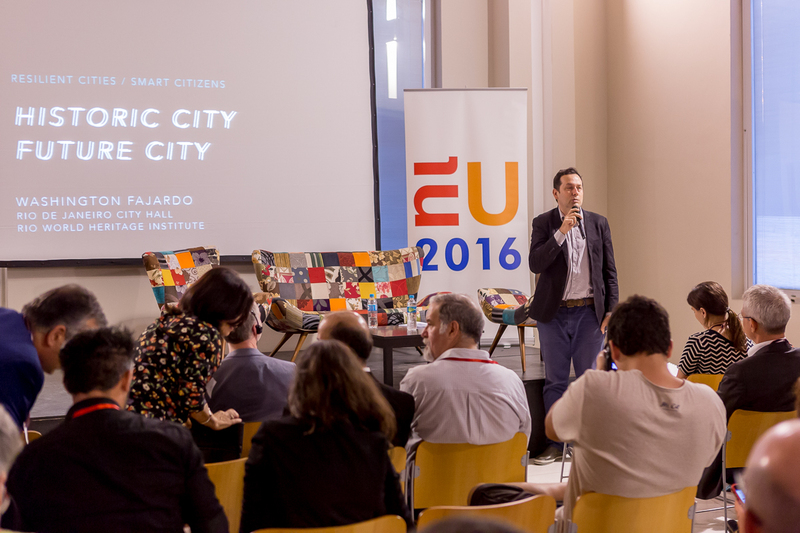 During the Dutch presidency of the EU, the Dutch consulate in Rio de Janeiro and the Rio Prefeitura brought together designers, civil servants, citizens and entrepreneurs for a weeklong design workshop, an exposition and a seminar. They prototyped new design and approaches to transforming cities, by using and enhancing the power of its citizens to take positive action. 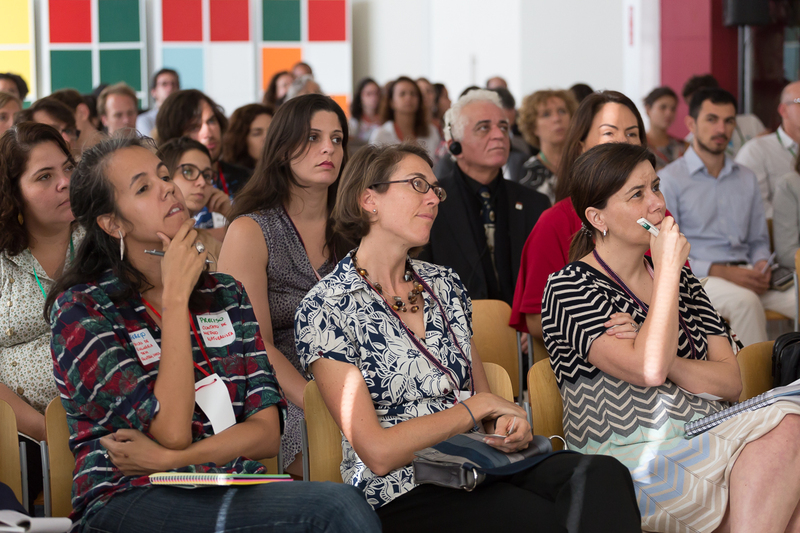 The programme was hosted by the Istituto Europeo di Design (IED) and Waag Society, Institute for Arts, Science and Open Technology, in collaboration with the Dutch Consulate and Rio Prefeitura. It took place at the historical Cassino Da Urca, an amazing part of the Brazilian heritage, which IED has been restoring and renovating for the last six years. The programme was supported with financial contributions from the Dutch Fund for the Creative Industries, and additional contributions from Olabi Lab, FGV and Swissnex. Technology is rapidly taking center stage in our societies. Appliances, houses, cars and cities are becoming connected and “smart”. This can be a boon to people, but also a threat to their agency, freedom, privacy and sense of belonging. More and more interactions become guided by algorithms that are hidden from public scrutiny and understanding. While people can often use (or “read”) the technology that surrounds them (be it a phone, their car, their computers), they can hardly open (or “write”) it and put it to their own, sometimes unexpected, use. To enhance agency and resilience in the face of serious transformations, crises and opportunities, we need more playful and creative minds, a fearless “hacker” and designer mentality, and skills to deconstruct and appropriate technology. A growing group of Smart Citizens takes the future of the places in which they live, work and play into their own hands. They become “smart” by mastering and sharing technologies that help them to express themselves, connect to others, share resources and ideas, and reflect so they can decide the best course of action. This takes knowledge, stamina, access to tools and a network of similarly motivated people. A large number of labs – like Fab Labs, Wet Labs, Maker Spaces and Code Clubs – are the places where this is happening at an increasingly massive scale. Their visitors are artists, scientists and hackers, together cracking the code of hardware, software and wetware, coming up with outrageous ideas and developing meaningful applications for their own use. In doing so they gain a deeper understanding of the issues and forces that shape our world, and become (once again) the makers of change that our societies dearly need. The event was opened Arjen Uijterlinde, Dutch Consul-General in Rio de Janeiro; Han Peters, Ambassador of the Kingdom of the Netherlands to Brazil; Claudia Gintersdorfer, Deputy Head of the European Union Delegation in Brasilia, and Pedro Junqueira, CEO, Center of Operations Rio de Janeiro. During the seminar, 18 speakers and moderators discussed the current state, threats, opportunities and possible futures of resilient cities and smart citizenship. They talked about resilience and sustainablility related policies in Rio, Zürich, Lisbon and Amsterdam, and best practices and learnings for building resilient transportation systems, participative democracy and designing desires. The results from the smart citizens workshop were presented, as well as insightful examples from Olabi Maker Space, BeMap and the Institute for Technology and Society. Finally, four speakers looked at how the history of Rio could shape its future, the circular economy, the smart energy sector and the need for open, inclusive and hackable cities. From the many things that were touched upon, a few stand out. First: you can only have a smart, resilient city with smart and resilient citizens. The tools and methods are in place, we just have to use them. Second: big changes are about to happen, or already happening: climate change, ageing, political unrest, massive migration streams, and long-lasting financial uncertainty. We need to act, and we need to do so now. Finally: by learning from international good practices, innovation can take place faster, quicker and to the benefit of all. By sharing learnings and blueprints openly and freely, people can build on each others shoulders and tackle the changes. Seminars like these can help a lot to do so.